It is sad to have to report the demise of GreenSpace, the charity that flew the flag for parks and open space since its formation a dozen years ago. The news came a couple of weeks before the start of a new financial year that will see the implementation of the Liberal Democrat/Conservative coalition’s reimagining of the requirements of a national government funding programme. Already hard hit, it seems GreenSpace were in no position to continue as a going concern in such circumstances. We reported last October on a new campaign for parks under the auspices of the trade title Horticulture Week which was being given the enthusiastic support of GreenSpace. Our report of the launch of Make Parks a Priority included Greenspace’s lamentation of “an absence at a national level of any [government] department with a watching brief for the UK’s urban parks” and a warning that “disproportionate cuts to parks’ maintenance budgets… could lead to a return to the near-terminal spiral of decline in which parks found themselves in the 1970s and 1980s.” They may well prove to have been correct but it seems that the organisation itself could not outrun these budgetary spectres. The Leisure Review took the opportunity to wonder at the need for another campaign for parks following the undoubted success of the last one in demonstrating the value of local and central government support for parks as the focal points for community and health. The creation of GreenSpace was one of the outcomes of the momentum that this campaign generated and it worked hard to establish itself thereafter as a home for parks professionals. This was in stark contrast to other professional bodies in the sport, leisure and culture sector, some with a parks remit, which spent their time rearranging the chairs on the deck of a yet-to-be-built boat that would subsequently prove to be particularly unseaworthy. Now that GreenSpace itself has succumbed to what the chair of trustees described in his valedictory statement to members and supporters as “devastating budget cuts to local authority funds and… the reduction in government grants”, parks have been left without a champion and parks professionals without a home. 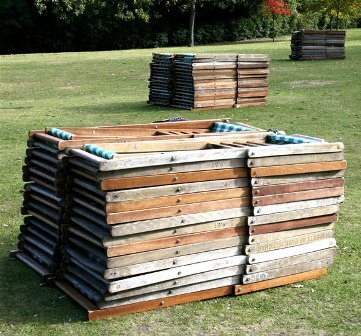 As with the failure of any organisation or endeavour, there will be resentment, recrimination and the settling of scores as questions are asked – not least, one would imagine, by the Charity Commission – about how and why GreenSpace was left so exposed. There will also be uncomfortable glances around the table at the meetings of the trustees of other professional bodies and non-government agencies as they ponder the resilience of their own business plans in the face of even more strident attitudes within the coalition cabinet to the worthlessness of investment in public services and indeed the wastefulness of investment in the public. There will have to be – yet again and for the foreseeable future – questions within the sport, leisure and culture sector about its role and its value. Sport, leisure and culture professionals will have to ask questions of themselves and the environment in which they want to work. Among the most emotive questions will be whether representative professional bodies have any relevance for their own careers or for the sector in which they work. Given the rather unconvincing record of professional bodies in the sector in the last decade, a new generation of leisure professionals working in radically different local government structures to those in which their predecessors operated may struggle to see either the value or the potential of a collective voice. I hope they can be persuaded in spite of the evidence. A voice for the sport, leisure and culture sector is necessary, whether from one or more specialist professional representative bodies. But such a body (I cling to the hope that it could be singular) is only of any value if it is appropriate to the conditions in which their potential members are working. Every professional body needs to be independent, viable and sustainable. All of them say they are or will be but only a precious few of them in the sport, leisure and culture sector have been able to substantiate these claims. In the modern political context a professional body for the sport, leisure and culture sector needs to be cohesive and collective in its understanding of the sector, and to be sufficiently confident in its constituency to be outspoken in pursuit of its representative remit. In any debate about the sport, leisure and culture of the UK, and particularly when this debate encompasses physical activity, parks and open spaces have to be included. Any organisation that does not understand this can have all the deckchairs it likes but it is unlikely to have many people willing to sit in them.